Lime Green Giggles: Viva La Verve! 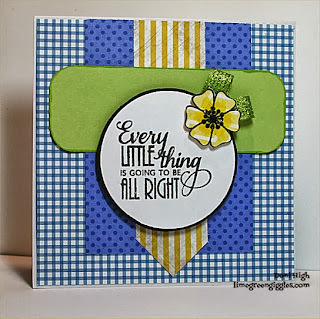 Today I made this card for the Viva La Verve Sketch Challenge for the first week of October. This is so fabulous Doni! I love those bold, bright colors and perfectly placed little flower:) Gorgeous! I love the color choices in this card!!! So cheerful!!! Love how you used the sketch and colors!! Wonderful sentiment!! Thxs for joining us at CTD!! How pretty...you have used the colors beautifully and I love the sketch!!! 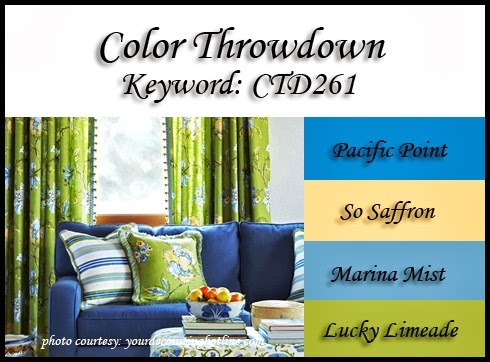 Thanks for joining us for the Color Throwdown Challenge!! !